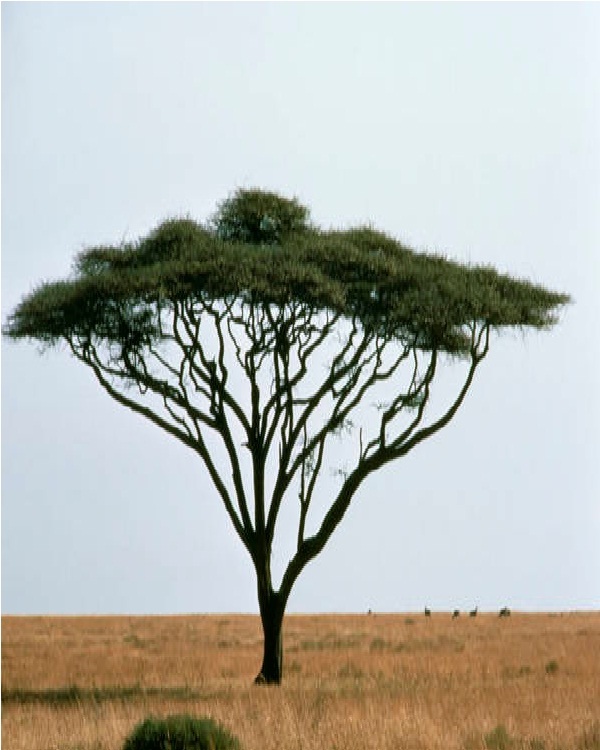 This is one of the most common trees in Africa, and its name is the Umbrella Thorn. These trees tend to have a very dark bark with very small leaves. Umbrella Thorns tend to be drought-tolerant, which is why they are mainly found in the savannah areas of Africa. These trees can be seen all throughout the movie, The Lion King.